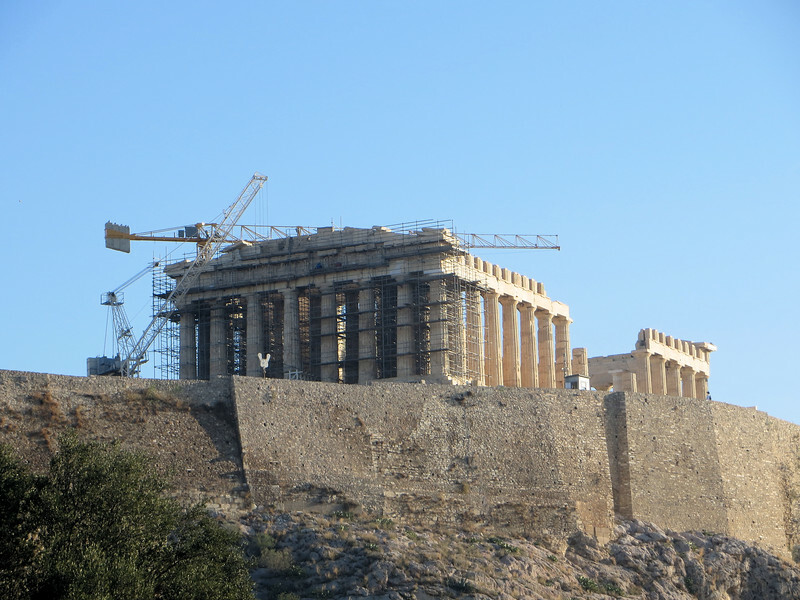 All the Greek city states I visited had an acropolis ("high place of the city"), but "The Acropolis" means the one in Athens. It is a limestone plateau atop sheer 100-foot cliffs and fed by permanent springs--a natural fortress. From about 800 B.C. onward, Athena was worshipped here as the patron goddess of the city.